We have experience in treating infants, teenagers, adults, senior citizens and athletes of all ages. We can show you how to become more flexible, stronger and healthier so you can enjoy the things in life that you want to do. We have many patients who practice preventative maintenance care and many who just come in for treatment when they are in pain. 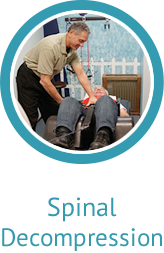 Explore our site to get an understanding of what chiropractic is, what techniques we perform and what to expect as a patient in our Hamburg chiropractic office. 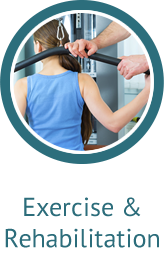 Some of the conditions patients come to see us for include neck, mid and low back pain, pinched nerves, rotator cuff, carpal tunnel, herniated and bulging discs, sports injuries and weight management. We specialize in a variety of techniques to help you. We use muscle stimulation, hot packs, ultra sound, spinal decompression traction, Graston / Gua Sha, nutritional and weight loss counseling for along with gentle effective spinal manipulation. Many of our patients get chiropractic treatment from Hamburg chiropractor, Dr. Peter Karas DC and massage therapy from Ashley Karas CMT as part of their health and wellness regimen. We also sell supplements in our office from reputable vitamin companies that we have been dealing with for many years. This ensures our patients are getting the best products for their money. 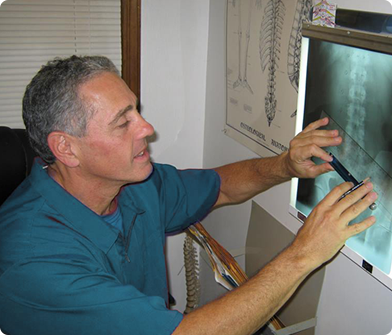 Dr. Karas has helped me through many injuries and situations in the years I’ve been his patient. He has many techniques and approaches to help with whatever my problem is. As a nurse, I trust that he’ll be able to diagnose and treat just about anything I come to his office for and I know I’ll feel better soon after I see him. I was helped!! Doctor and staff were very professional and kind. They took into consideration my busy schedule and worked with me as far as appointments. I recommend Dr. Karas highly. Great place! Felt better after 2 visits. Thank you. Dr. Karas and his staff are extremely friendly and helpful. 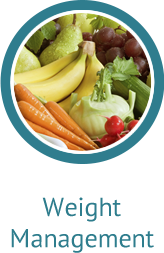 Doc is also very knowledgeable in health and fitness. Helped me strengthen my core to elevate back pain. I have received excellent care from Dr. Karas and his staff. Everyone in the office is very professional, helpful, and kind. My concern was heard and a plan was put in place for treatment. I am so pleased with the care I am getting from Dr. Karas and his staff. Very caring people with great results. The Doctor is very professional and caring about his patient well being. Not only on the day one goes to the appointment, but how you felt since your last visit. The staff is very friendly right away you feel part of the family. Overall, I see a big improvement since my first visit earlier this month. Friendly staff… very easy to work with.. never feel rushed.. everyone is very knowledgeable. I actual look forward to my appointments! I feel so much better after my appointments and doctor is very gentle when making adjustments. I highly recommend coming here if you need a good chiropractor. Everyone at Dr. Karas’s office has been unfailingly pleasant, helpful and genuinely concerned for my well being. Thumbs up x 10!!! Unbelievable experience. Dr. Karas and staff are the best in the tri-state area. Also open one Saturday a month.